This presentation provides an overview of the fire protection requirements for spray booths as stated in NFPA 1, Chapter 43. Operations, functions, hazards, and fire protection system requirements are shown. This presentation will provide a thorough understanding of how to properly apply the fire code requirements for these types of operations and structures. The fire service is an organization that has become known for doing more with less. Less tools, less equipment, less personnel, and less money. Many fire prevention organizations have too few dedicated fire prevention personnel to cover the many square feet of space or miles of geography within their communities. Fire prevention organizations are responsible for the tasks of life safety inspections, fire protection system inspections and testing, plan reviews, investigations, public education, and myriad administrative tasks. All this while also being expected to stay abreast of new technologies, code developments, legislative changes, and planning for the future of the fire prevention organization and its role within the community. This workload creates a reactive environment. One in which fire prevention organization and personnel are functioning only to respond to the most emergent issue, “what needs to be done now”. These organizations run the risk of being able to only accomplish the minimum required tasks, or less. These conditions can lead to critical fire protection and life safety issues that are allowed to develop until they become a major incident, which results in loss of property or worse, loss of life. Fire protection professionals - inspectors, investigators, engineers, building safety directors, the Fire Marshal - did not get into this field to barely get by, or to race to the bottom, or to just work to meet “minimum” standards, or “try their best”, or to do things “the way they’ve always been done”, to simply maintain the status quo. You entered the field because you had a vision to change your world or community by protecting property and saving lives from fire loss. With the many tasks, responsibilities, and requirements of the fire prevention organization how can this vision be realized? How can the fire prevention organization and its personnel be best utilized to ensure that they are functioning at optimal effectiveness? Can they know that they are focusing on the right tasks and activities? The solution is a clear plan of action that identifies and provides for the most effective and efficient methods for performing essential fire prevention functions. With the right plan of action and a laser-like focus on essential tasks your vision for your community and organization can be realized. Your organization can be transformed from just getting by, doing the bare minimum, trying to stay “afloat”, into a purpose driven, forward advancing, progress making, community changing, organization! The Fire Prevention Blueprint is your action plan! This book reveals the seven disciplines of effective and efficient fire prevent organizations, and provides practical guidance and resources for their implementation. Fire Prevention Blueprint: Seven Disciplines for Building Effective Fire Prevention Organizations accomplishes this by identifying essential fire prevention and life safety functions, understanding how to utilize effective systems and processes, and providing the framework for creating a structured and organized plan of action. Don’t let your community become the next mass fire casualty or large fire loss headline. 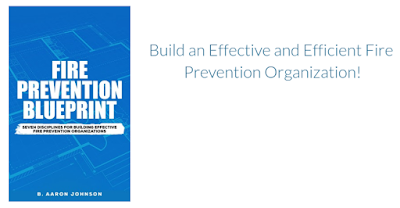 Buy the Fire Prevention Blueprint and transform your fire prevention organization into your vision of what you know it can be! What are the requirements for rack storage? Are in-rack sprinklers required? How can rack storage sprinkler requirements be determined? Fire protection requirements for rack storage are addressed in NFPA 13, Standard for the Installation of Sprinkler Systems. How high is it stored? “What is stored” refers to the items hazard and commodity classification. “How is it stored” refers to the storage method, or medium (pallets, bins, etc. ), and container type (wood, plastic, etc.). “How high is it stored” refers to the height of stored items. 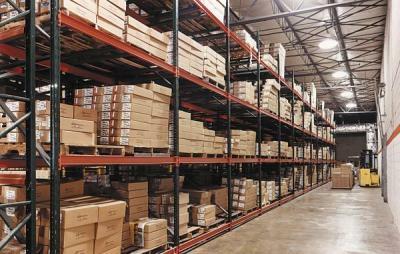 If the stored items are classified as miscellaneous or low-piled, refer to Chapter 13 for fire protection requirements. “Miscellaneous storage” does not exceed 12 feet and is incidental to the occupancy (see, 13:3.9.1.18 for additional requirements). “Low-piled storage” is storage that is up to 12 feet in height. Storage medium for low-piled storage can include, solid-piled, palletized, rack storage, bin box, and shelf storage. Fire sprinkler design requirements are outlined in section 13.2. If the stored items are classified as a Class I through Class IV commodity, and palletized, solid-piled, bin box, shelf, or back-to-back shelf storage Chapter 14 requirements apply. Fire protection requirements will vary based on height of stored items. Sprinkler design requirements for storage up to 12 feet is outlined in section 14.2.3. Storage over 12 feet is defined in section 14.2.4. It is in Chapter 14 that we first see “encapsulated” storage. This refers to items that are wrapped in plastic sheeting, or pallets that are covered with plastic sheeting. If encapsulated storage is utilized and it is between 15-20 feet, the sprinkler design requirements of section 14.2.5 should be followed. If the stored items and rack shelving are classified as plastic or rubber commodities, and palletized, solid-piled, bin box, shelf, or back-to-back shelf storage Chapter 15 requirements apply. If the plastics are Group A and do not exceed 5 feet in height then the protection requirements of Chapter 13 can apply. For all plastic or rubber commodities that exceed 5 feet in height, section 15.2.2 outlines the fire protection requirements. For clarity and protection requirements the decision tree provided in figure 15.2.2.1 of this standard should be referenced. If the stored items are a Class I through Class IV commodity and on rack storage the protection criteria of Chapter 16 shall be met. If these commodities are stored up to 25 feet in height the sprinkler requirements or section 16.2 are to be met. If the they are stored over 25 feet high, section 16.3 should be followed for protection requirements and design criteria. If the overhead sprinkler system does not meet the minimum design requirements for protection of the commodity alternate provisions and options are provided in section 16.1.2.4. If the stored items are plastic or rubber commodities and on rack storage the protection requirements of Chapter 17 shall be enforced. This section has a decision tree that must be followed based on the group of plastics being protected, as well as alternate provisions for systems that do not meet minimum design requirements. If plastic or rubber commodities on rack storage is encountered, this chapter should be closely examined. The plastic or rubber commodity should be further broken down by answering the original three questions: what type of plastic is stored? How is this plastic or rubber stored? How high is the plastic or rubber stored? Fire protection requirements and design criteria will differ based on the answers to these questions.